Condos, Churches and Colleges … Oh My! At DaVinci Roofscapes you’ll find us “topping” off all types of commercial projects around the country from banks to shopping centers to hotels. Q: Mike, what does “TCO” stand for? A: TCO stands for Total Cost of Ownership. This is what property owners, investors and other stakeholders look at carefully when making a purchasing decision. It involves an analysis of the total cost of making a product investment. 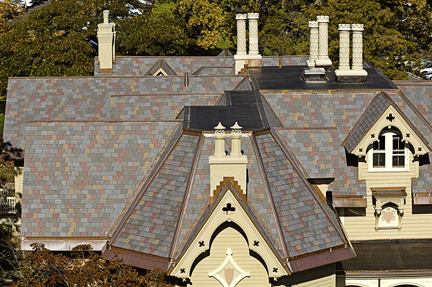 Q: How does TCO relate to DaVinci’s synthetic roofing material? A: A TCO analysis involving a decision on roofing products for a theme park, condo community or even a restaurant evaluates how much the roof costs versus the long-term payback potential. For DaVinci composite roofing, we fare great because our imitation slate and shake alternative tiles are low maintenance products backed by a 50 year roof warranty. We also score high because our luxury roof products never need to be treated for mold, insects or algae. Q: What other aspects help DaVinci roofs be a good investment for commercial projects? 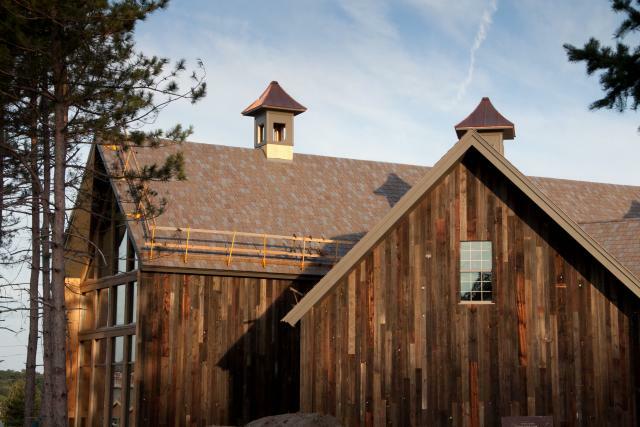 A: Actually, the same features that make the slate alternative and simulated shake roofing good for homeowners make it even better for commercial projects. For example, DaVinci tiles have the highest impact rating, are fire-resistant and can even be power washed. Our sustainable roofing tiles resist water absorption, curling, cracking and fading … making them durable for many years. Q: What are some easy-to-recognize commercial projects where the general public might see DaVinci synthetic roofing material? A: That’s easy. Various restaurant chains such as Cheddars, Bahama Breeze and Starbucks; some Bass Pro Shops, The North Face store, along with well-known institutions such as Notre Dame, Mount St. Marys College and the campuses of the State University of New York. Q: Finally, where can people find you if they’re interested in DaVinci products for commercial projects? A: I’m always happy to talk about commercial projects and our eco friendly roof systems. Call me at 1-888-362-4957. For more details on green roof construction, see DaVinci Roofscapes Goes Commercial!